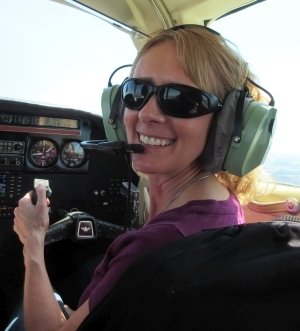 Airline pilot Kathy Dulson tells us about the National Gay Pilots Association, and we discuss the recent flurry of airline public relations disasters. Also, an all-female UPS crew, the Blue Angels touch in the air, some airlines are dropping the “two persons in the cockpit” rule, and runway safety problems at Santa Monica. Kathy Dulson is a Boeing 757/767 pilot for a major legacy airline based in Los Angeles. She has been involved in aviation for 29 years with four different airlines, starting in customer service and airline operations before pursuing her dream of flight. 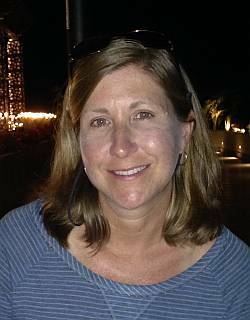 Kathy has been an airline pilot since 2002 flying the Saab 340, Canadair Regional Jet, Airbus 320, and now Boeing 757/767. Kathy is also on the Board of Directors of the National Gay Pilots Association (NGPA), a non-profit organization that promotes advocacy and outreach, pilot careers, aviation safety, and social and professional networking. She is also a member of Women in Aviation International, the Ninety-Nines, and ISA+21. Our conversation includes a discussion of the advocacy the NGPA provides on behalf of LGBT members of the airline community. 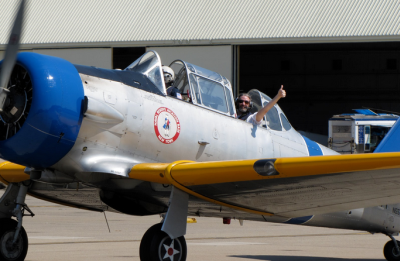 We look at the sponsorship provided by airlines and the scholarships offered, as well as the local chapters with flight schools and universities, membership in NGPA, and the role of allies. Find the NGPA on Twitter and Facebook. Are Airline CEOs Finally Getting The Message A Big Change Is Needed? The writer attributes incidents like the violent removal of a United passenger to a procedure-based industry that prevents a culture where frontline employees are empowered to make situational decisions. Airline loses wheelchair belonging to disabled passenger visiting S.A.
A pilot for Delta Airlines was caught on video hitting a passenger at Hartsfield–Jackson Atlanta International Airport. The passenger was brawling with another woman at the time. Is It Time for Airlines to Stop Overselling Flights? Thunder Over Louisville is an annual airshow and fireworks display that kicks off the Kentucky Derby Festival. UPS was an event sponsor and a UPS 757 was part of the airshow. What makes this unique is that this was the first UPS crew flying in Thunder Over Louisville comprised of all women – flight and ground crew. Two United States Navy Blue Angels airplanes touched during a flyover with the Air Force Thunderbirds near Pensacola Beach, Florida. After the 2015 Germanwings crash where the pilot flew the plane into the ground, a “two person in the cockpit” rule was widely discussed. A rule change was advocated by the European Aviation Safety Agency, but last year EASA changed the requirement and allowed individual airlines make their own determination. The German aviation association BDL has announced that effective June 1, 2017, airlines will return to their original cockpit safety procedures. Plans to shorten Santa Monica’s Runway 03/21 per the city’s January agreement with the FAA may create a number of potential safety issues. Wings Over Pittsburgh Air Show, May 13-14, 2017. Bags/Prohibited Items List. This entry was posted in Episodes and tagged airline, Blue Angels, Delta Air Lines, LGBT, safety, UPS, women in aviation on May 3, 2017 by maxflight. Results from our listener survey, the B787 battery issue, Air Traffic Control Center vulnerability, historic aircraft, flying a float plane, and air-to-air photography. After the Boeing 787 experienced Lithium Ion battery problems, Boeing made some changes designed to reduce the chances of thermal runaway, and to better manage the situation should it occur. But the root cause for the problem was never determined. By Christine Negroni in her Flying Lessons blog. A disgruntled FAA contractor posted a suicide note on Facebook, brought a can of gasoline into the Chicago Air Route Traffic Control Center, and set the place on fire, affecting more than 2,000 flights. The man was found by paramedics as he attempted to end his life with a knife. 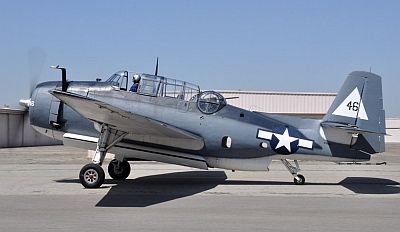 Paul Allen (co-Founder of Microsoft) and Peter Jackson of (Lord Of The Rings Fame) are both amassing huge warbird collections. They are being painstakingly restored by Allen and completely recreated from scratch by Jackson using original plans. 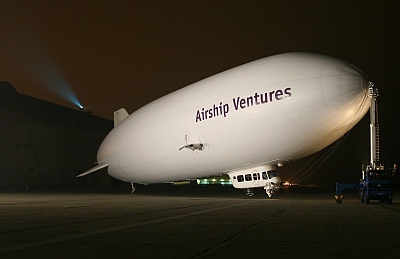 The article questions if flying these on of a kind aircraft is worth the risk. Also does creating a “Clone” of an original demean the original and cloud the historical significance. Rob’s been learning to fly a float plane. The Geico Skytypers were invited by the Blue Angels to do a formation flight, and they wanted to David to take some air-to-air photographs. David relates that adventure. 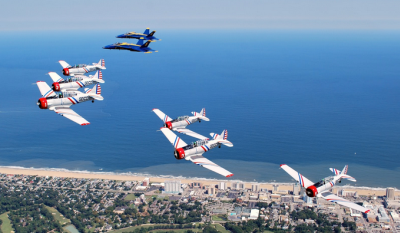 At the Naval Air Station Oceana Air Show, David spoke with Kenneth Hess, the Public Affairs Officer for the Chief of Naval Operations, Energy and Environmental Readiness Division. They discussed biofuels and goals of the Navy to reduce energy consumption. Ken mentions the free Energy Warrior app, which lets you discover what the Navy is doing to lead change and increase combat capability. You also learn facts about U.S. oil dependence, and what America’s Navy is doing about it. Also at Oceana, David spoke with air show and event announcer Ric Peterson about what it takes to be an announcer. In one of the shortest AusDesks of all time, Grant chats briefly with Errol Cavit and Zac Yates after the recent Wings Over New Zealand Forum meet-up at Ardmore Airport near Auckland. In addition to Grant scoring a flight in a de Havilland DH.83 Fox Moth, there were plenty of amazing aircraft (including a 2-seat Spitfire) and excellent presentations during the day (plus some beer at the end). 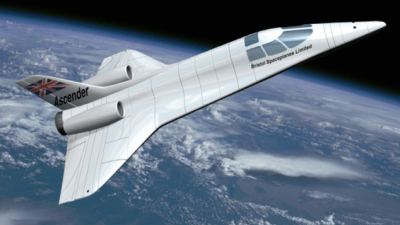 Pieter looks at the UK Government Review of commercial spaceplane certification and operations: Technical Report [PDF], as well as the recent news on MOM, MAVEN and Rosetta. This entry was posted in Episodes and tagged ATC, B787, Blue Angels, Skytypers, survey, warbird on October 1, 2014 by maxflight. Guests Jon Ostrower from the Wall Street Journal and Molly McMillin from The Wichita Eagle discuss the just concluded National Business Aviation Association (NBAA) 2013 Convention. This year the event saw 1100 exhibitors and over 25,000 attendees. Jon and Molly give their observations of the event, including the demand for business jets and the outlook, new programs and money going into product development, the unveiling of Dassault 5X, Learjet’s 50th anniversary and the Learjet 85, Beechcraft making it through bankruptcy, lithium batteries, new Aviation Partner scimitar winglets, and consumer electronics in cabin interiors. David Vanderhoof’s Aircraft of the Week: The Ryan NYP, the Spirit of St. Louis by Randy dePasquale. There’s no AusDesk Report this week, but David uncovers some spooky hidden messages from the boys down under, just in time for Halloween. 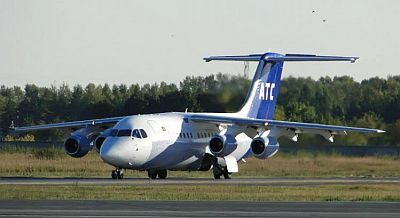 Banned by the EU Avia Air Traffic flies BAE 146’s amongst others. Jason Smart flew on this aircraft type on his travels. We ask Jason Smart back onto the show to talk about his travel writing career that has seen him travel to every former ex Soviet state in his book The Red Quest. We then follow Jason’s journeys through the airlines and aircraft he has flown around the world, his scariest flight ever and what the food served on some airlines tastes like. 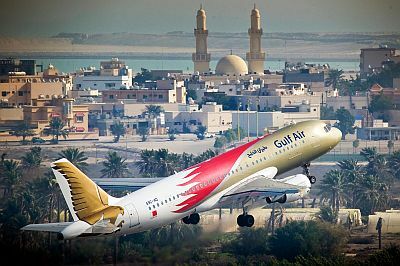 A different look at the aviation sector through the eyes of someone who has flown on banned airlines and broken airliners. His books can be found at www.theredquest.com and cover an amusing look at his travels through Europe, Asia, the America’s and The Middle East. Certainly many of these could be added to your holiday shopping list. This entry was posted in Episodes and tagged B787, Blue Angels, Boeing, Lockheed Martin, NBAA, Ryanair on October 30, 2013 by maxflight. Photo by Stephen Tornblom from his birthday trip to Chino Airport. We talk with Milford Shirley from FlightTime Radio about their live broadcast at the upcoming Become a Pilot Family Day and Fly-In, June 18, 2011 at the National Air and Space Museum’s Udvar-Hazy Center next to Dulles International Airport. Max, Rob, Dan, and David plan to join in the show along with some other aviation podcasters. Steve Visscher and Grant McHerron from the Plane Crazy Down Under podcast provide their Australia Desk Report. Follow the podcast on Twitter at @pcdu, Steve at @stevevisscher and Grant at @falcon124. In this week’s Across the Pond segment, Pieter Johnson gets an update from David Cenciotti on Operation Odessy Dawn in Libya, what it was like to break an international aviation story to the world, and how to track those “untraceable” black ops flights. Be sure to see David Cenciotti’s Website and follow him on Twitter at @cencio4. On Twitter, Pieter is @Nascothornet. Blue Angels’ almost crash: the risk of Controlled Flight Into Terrain during formation aerobatics – David Cenciotti’s blog post and video. On 100 low lead aviation fuel: 100 Octane Unleaded Aviation Fuel – A Website dedicated to the distribution of information about the fuel crisis facing users of piston engines in General Aviation, and the promotion of an unleaded 100 octane fuel. Flying G100UL: Yeah, It Works. On the new Pan Am TV show: ABC 2011 Fall TV Premiere: Pan Am and Pan Am, ABC Show, To Explore 1960s Flying Culture (VIDEO). N709DN Takeoff, a 777-200/LR test flight video. The Jetstar war on pilots. Possible federal aid cuts could jeopardize air service in small communities. Texas House passes bill banning TSA airport groping and Senate stirs pot with TSA groping bill, sanctuary cities. Full text of the letter: courtesy to the minister but bold ultimatum. On the NTSB publication of final report on the Gol 1907 accident: Command of Aeronautics, General Staff of the Aeronautics, Final Report, A-00X/CENIPA/2008 [PDF]. United Reinstates, Quickly Withdraws, 9/11 Flight Numbers. Ryanair To Ground 80 Aircraft Next Winter. F-35A may need mods to fix range shortfall. Whew, that was a lot of listener mail! This entry was posted in Episodes and tagged 100LL, Air ambulance, Air France, Aviation museum, Barnstorming, Blue Angels, Delta Air Lines, Falcon 7x, Flight 447, Gol 1907, incident, Jetstar, Pan Am, Ryanair, Texas, TSA, US Airways on May 31, 2011 by maxflight.